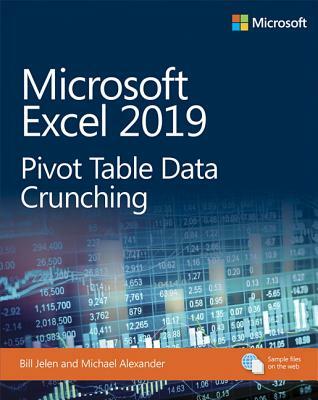 2Renowned Excel experts Bill Jelen (MrExcel) and Michael Alexander help you crunch data from any source with Excel 2019 pivot tables. Use Excel 2019 pivot tables and pivot charts to produce powerful, dynamic reports in minutes instead of hours, to take control of your data and your business. Even if you've never created a pivot table before, this book will help you leverage all their remarkable flexibility and analytical power-including valuable improvements in Excel 2019 and Excel in Office 365. Drawing on more than 45 combined years of Excel experience, Bill Jelen and Michael Alexander offer practical "recipes" for solving real business problems, help you avoid common mistakes, and present tips and tricks you'll find nowhere else.